Moscow, December 15, Interfax - First Hierarch of the Russian Orthodox Church Outside of Russia Metropolitan Hilarion consecrated the Orthodox church of St. Matrona of Moscow in Miami (Florida, the USA). “The new church has become the biggest not only in Florida, but on the whole Southeast coast. It can house about 700 people,” parishioners told Interfax-Religion. The city mayor and other American officials participated in the opening ceremony. The main shrine of Russians Abroad the Kursk Root Icon of the Mother of God was brought from New York for this occasion. The parish was established in 2011, parishioners celebrated the divine services in small rented premises. They tried to collect means four years running, and in 2015 managed to buy a building of the Methodist church with premises for a kindergarten, a library and a canteen. Over a million dollars was fundraised to purchase the building and its reconstruction. More than 10,000 people donated on it. The unique faience iconostasis made by Yekaterinburg masters will be set up in the church. 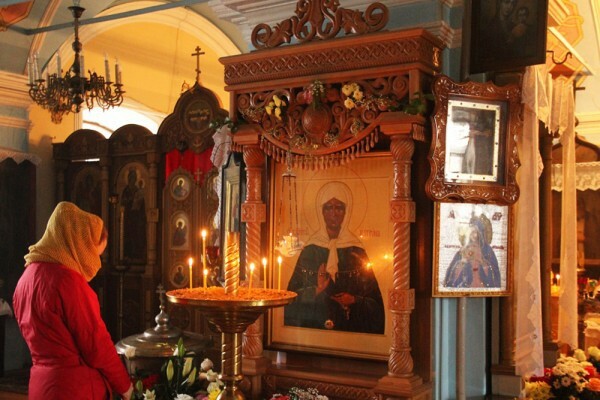 Particles of relics of St. Matrona of Moscow and 115 other Orthodox saints will be kept there. According to various estimations, from 100,000 to 200,000 Russian-speaking Americans live in Miami and neighboring counties.